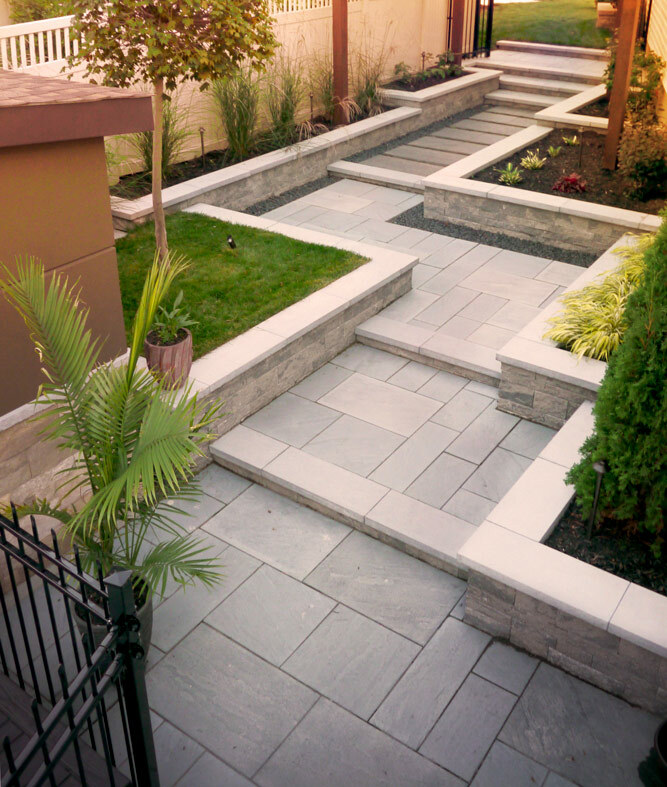 Exact Interlock was founded in 2005 by Jamie Carriveau with the mission to bring higher standards to the Ottawa area landscaping industry, by delivering high end landscape design and construction. It is this philosophy that has evolved Exact Interlock into Exact Landscapes focusing on all aspects of the design and build model. Dedicated to reliability and remarkable craftsmanship, the Exact team has continued its evolution by working with only the best Ottawa landscaping material suppliers, and by investing in the skills and capabilities of our long-standing team. We are proud that this has earned us many landscaping awards gaining further trust of our valued clients across the Ottawa region. Hardscaping, large scale landscaping, pool surrounds, outdoor kitchens, and outdoor living spaces, are a few of the end-to-end services that Exact Landscapes focuses on today. Our clients choose Exact because they know their project is in good hands no matter how complex it is. Our approach involves individual attention, collaboration, and detailed and accountable project management using modern technology. The result is an outstanding customer experience, and a sophisticated landscape to match.